Furnishing your home requires far more than randomly selecting items of furniture and peppering them around the living space. It takes time, thought and perseverance. Whilst your own artistic sensibilities will play the key role, there are some great fall-back tips you can look to whilst creating the look of your home with furniture. The best furniture style is the one which fits best with the overall scheme of your home. So look around the various rooms in your house. Are there any key features which you could compliment with similar furniture pieces? Or could you find pieces made from different materials in order to offset the dominant textures and colours? Not everyone is a home décor guru of course, but by experimenting, you should get a pretty good idea of what works and what doesn’t. If you’re struggling for inspiration, wood is a material that goes well in pretty much any surrounding, unless of course your home is a sci-fi inspired, modern dwelling. On the whole though, wood is a great fall back, whether it’s a coffee table, a bookshelf, or a solid oak wardrobe from Fortune Woods. Have you spotted a fantastic looking leather sofa that seems too exquisite for the asking price? Unless it’s been recently stolen from a local artisan furniture store, the chances are that it isn’t real leather, but faux leather instead. No matter how excited you might get over scoring a potential deal, be sure that the materials are genuine before purchasing. Have you already applied some or all of the above steps but still feel that something is lacking from the home décor scheme you’ve created? Often, it is the little finishing touches that really help to tie a room together and complete a style or scheme. These little tweaks could be the spreading of a quality rug in the centre of the floor, or perhaps just a series of cushions with colours that help to bind the other features of your living room space. So think about what small changes you could apply in order to create a big impact. 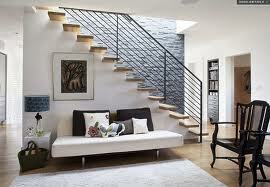 There are no hard and fast rules that one must obey in order to furnish their home effectively. However the tips given here will definitely put you in a good position to make the right decisions. ← Can you sell your property at best price and quickly?